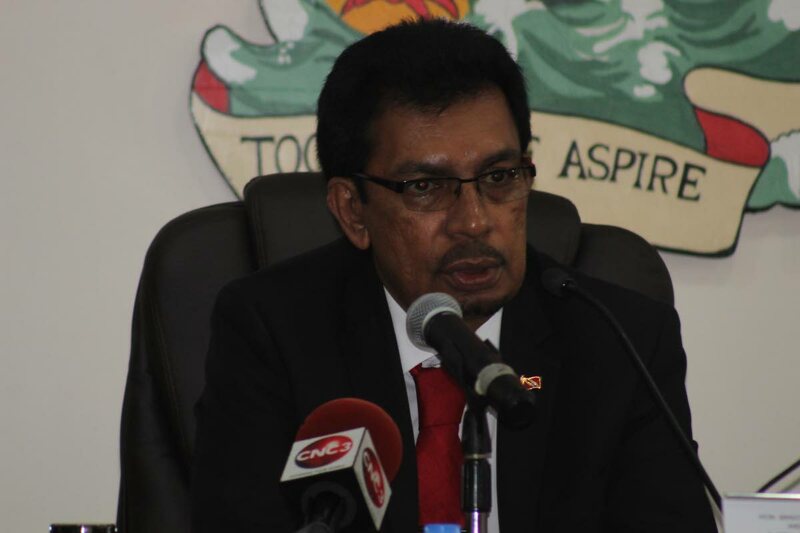 Local Government Minister Kazim Hosein said some garbage collectors in this country are holding citizens to ransom, and has arranged for the intervention of the Solid Waste Management Company (SWMCOL). He was speaking yesterday at the Diego Martin Regional Corporation statutory meeting at its offices on the Diego Martin Main Road. During the meeting, a number of councillors and aldermen complained about the inefficient service of the garbage collection contractors. Alderman Sigler Jack said for almost two years the corporation had been promised new contractors to pick up garbage but, with the Christmas season, the garbage would increase tenfold and they had serious problems with the current contractors. He said the region needed new contractors as soon as possible, or at least by 2018. Chaguaramas/ Pt Cumana councillor Akeliah Glasgow said garbage continued to be a major issue in her community. She said on Tuesday at 12.18 am she went outside with the garbage truck to ensure it took up all the garbage and did not leave any behind, and recalled speaking with the supervisor who told her, because the truck had picked up garbage on Saturday, it did not need to pick up on Tuesday. Hosein in response explained the garbage problem was not unique to Diego Martin but was happening throughout the country. He stressed garbage collection was an essential service and must be done. Hosein reported two months ago he took a note to Cabinet to deal with garbage collection and engaged SWMCOL, which was under the Public Utilities Ministry, to take up the mantle and hire contractors, but it had to be done with the 14 regional corporations. He said they would have a say and the chairmen and councils would source the contractors from within the district and not from without. Reply to "Local Government Minister: Garbage collectors holding TT to ransom"